Hotel Dolphin is a quality property that offers visitors to Haridwar comfortable accommodation and a variety of services and facilities. 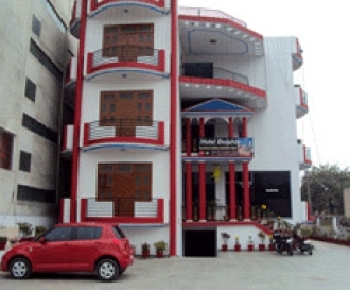 Hotel Dolphin is located on the Haridwar-Rishikesh Road, near the RTO office, in Bhupatwala, Haridwar. The hotel is just 1 km from Har ki Pauri. Hotel Dolphin has 30 rooms devided in categories like Deluxe, Executive rooms and family Suites, All rooms are equipped with all modern facilities like attached bath with hot & cold water, satellite television, balcony, room service etc. Deluxe Rooms in hotel Dolphin have individual balcony, double bed, satellite television, attached bathrom with running hot & cold water , air conditioner etc.